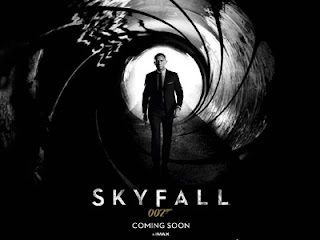 The latest James Bond adventure 'Skyfall' has arrived in UK cinemas, leaving behind a glut of sold-out showings in its wake - and murmurings of it perhaps being the best Bond film ever. To celebrate the release, Chip Ivory has put together a mash-up mixing Adele's 'Skyfall' theme and 'Touch The Sky' by Kanye West. Chip Ivory is the moniker of American musican Ryan Driscoll, soon to rise to prominence, if his mash-ups are anything to go by. We've already featured his Will Smith vs Matt & Kim mash-up, and 'Touch The Skyfall' is a step up in class. Find more info at chipivory.com.